This article reviews the comparative analysis of the most promising theoretical areas exploring the correlation principles of the structural / functional brain organization and cognitive characteristics of the language. A special role in the presented approaches is assigned to the principles of computability. The article discusses the advantages and disadvantages of the modular and holistic models in the context of semiotic asymmetry. It is important to emphasize that the language model as a set of hierarchically represented objects is consistent with only with the connectivism paradigm (brain as a network), in which the main element is the functional neuron, and it is not the biological neuron but its simplified information model. The informational simplification creates a number of contradictions. We have analyzed the methodological basis of neural network approach and principles of recursive organization. The main question is, do neuron structures determine the principles of mental representations and computational grammar models? The uniformity of syntax and logical structure of neurons creates metaphorical and a not completely correct hypothesis that brain is a network of functional units that computes grammar and syntax rules. One of the objectives of this work is to identify the methodological inconsistencies arising from the computational models of language structures and language activity. functional asymmetry, semiotic asymmetry, computability, garden-path sentences, mirror neurons, recursion. 1. Introduction The main linguistic interest in brain research at all times has been the so-called “language organ”. The search for a “cerebral language organ” was attempted as early as in the ancient Eastern philosophy and European philosophy in Modern Times. The problem of localization of language functions has been searched for in the pineal gland, corpus callosum, and pituitary gland. Austrian physician F. J. Gall first proposed a localization map of mental functions in the early 19th century. Gall’s ideas about brain centers had a major influence on the development of science. There is still a confrontation of supporters of the “localized” and dynamic allocated process. The issue of the delimitation of language as a system and speech as an activity accentuated the problem of localization of language functions. P. Broca and W. Wernicke in the 1860’s proved the existence of speech centers in the brain. Later, the attention of researchers was focused on the functional asymmetry of brain in the context of semiotic processes. Cerebral asymmetry was the cause of computer metaphors, as in terms of neurophysiology, questions were raised about the binary encoding and decoding as well as the automated and arbitrary language reactions. According to D.H. Jackson, cerebral asymmetry in speech is evident in the comparison of propositional and emotional levels of utterance semantics . The classification of aphasia allows ascertaining the violation principles for phonetic, lexical, syntactic, semantic rules of the utterance organization [18. P. 287-301]. The brain mapping methods confirmed Jackson’s guess that multiple brain zones, not just speech centers are involved in the processes of generation and perception of statements (or text). T.V. Chernigovskaya emphasizes that now the dynamic and localization concepts alternately succeed each other in trends, depending on the success in one or another field of science. To understand the language nature, neuroscientists now turn to the results of interdisciplinary research: philosophical anthropology, cognitive linguistics, ethno-psychology, methodology of artificial intelligence [5. P. 16-28]. Linguists have focused their efforts on finding basic universals that distinguish language from other forms of communication of living systems. Here, the problem of the language origin becomes more acute. Geneticists are looking for so-called “language gene” to justify the genetic substrate of language abilities. Particular attention is given to computational processes in the brain ensuring cognitive and language processes. Common modular mechanisms are sought based on the example of various languages groups. Representatives of connections build formal models of analogical thinking. The debates concerning the rules of “mental grammar” allowing for the implementation of formal brain procedures continue not only in the form of propositions but also as holistic and life experience. In this case, the language function is metacoding: the brain, aided by language structure, as if describes its own conditions. The neurophysiologic aspects of the study of language processes demonstrate the same trends as those in evolutionary anthropology, psycholinguistics and language philosophy. On the one hand, language as a system shows all signs of evolution. Evolutionary biologists, neuroscientists and generativists distinguish language faculties (evolutionary predisposition to of brain to master a language) and speech activity as a way to successfully solve the cognitive and communicative tasks. On the other hand, the computational approaches are based on the hierarchy of language systems but the inability to face speech formalizability. 2. Hemispheric asymmetry and language processing There is a delicate mechanism of transition between several ontological levels of a language. It is necessary to clarify the transformation principles of syntax computations at the level of brain speech centers into the referential system of statements with enormous contextual complexity. It is surprising that a language system at pragmatic level already provides a social context. Human cognitive system has the properties of “echoistic memory” [4. P. 163-179], along with mechanisms of semantic restoration able to “build up” contextual integrity of a text or statement at a formal syntax and intuitive level . Experiments demonstrate the deep connection of the physiology of semantic structures and audiovisual perception. It is expected that the restoration of the integrity of a visual shape, “noisy” speech act and narrative coherence of a text correspond to the same brain centers ensuring the constancy of the consciousness focus . Before further considering material language substrate as speech-behavioral activity, it is necessary to determine the boundaries of the tested subject. The general topic of “brain and language” is very broad. Our task is to attempt to find foundation for the transition to the system referential level in the neurophysiology of speech behavior. This will not require consideration of all specifics of the brain organization of speech activity, but merely semantic organization principles of a word and utterance (psychological structure of words according to A.R. Luria). The key problem of the psychological and neurophysiologic aspects of semantics is to identify a system of conceptual links excited by a subject correlation of a language expression. The question posed by A.R. Luria in 1981 remains relevant today: Does the degree of proximity of semantic components determine the neuron excitation pattern ? The psychological science knows the methods of association, scales and conditional reflex research aimed at identifying the multidimensional semantic patterns of vocabulary. It is recognized that the method of sign language use depends on the selective associative and categorical principles. Brake and phase states of the cerebral brain show “semantic frustration” of the categorical system. A special place in the topic under discussion is given to the problem of the interaction of language structures with hemispheric processes in the brain. R. Jacobson refers to a kind of linguistic fashion trend in aphasia researches in the 1960s. Even without the modern mapping techniques, linguistic typology of aphasic disorders gave a coherent picture of localized disturbances in a brain. As a result, the relationship between some system functions of a language and specific brain areas was revealed. For example, systemic differentiation and classification in phonemes perception, in morphological combinations, and in constructing syntactic structures of statements is implemented through the left hemisphere operation. At the same time, the right hemisphere is responsible for the conceptual and ostensive action system. Simply put, in order to recognize the sound of dripping water, cough, or the sound of a winding car, the right hemisphere is needed; to build a phrase “Water is dripping from the faucet in the kitchen”, the left one is at work. A classic example of Sapir about bilateral interpretation of sound “wh” in speech and the identical sound of blowing out a candle  shows that the right hemisphere processes the sense of an action, while the left one deals with the meaning of the elements of a language system. Unilateral shock therapy also demonstrates that patients with a depressed right hemisphere are not able to perform language actions. The pragmatic language level is excluded from the communication: the meaning of intonation, interjections, parasite words, expressive syntax, nonverbal emotive assessment - the complete emotional palette of speech is not captured by the patient. With the suppression of the left hemisphere, people often do not understand the meaning of statements but distinguish tone shades of irony, doubt, anger etc. Therefore, to describe briefly the differences in the processing of language processes in the left and right hemispheres of human brain, these differences can be reduced to the following: ♦ The left hemisphere differentiates sign and referent; the sign plan of a statement is understood as a conventional object; special significance is given to paradigmatic and syntagmatic relations; syntax prevails over semantics. Keywords: the conscious, rational, arbitrary objective, abstract, logical, theoretical. ♦ The right hemisphere identifies sign as denotation; name semantics is an integral part of the essence of a thing; including names of things into the language system is irrelevant; semantics takes precedence over syntax. Keywords: intuitive, unconscious, subjective, involuntary, concrete, imaginative, empirical . V.L. Deglin describes the findings of experiments to identify functional brain asymmetry in the linguistic aspect and indicates hemispheric semiotic specialization. The left hemisphere is responsible for abstract logical differentiation of language system elements and for the construction of statements at the level of formal grammar structures. The right hemisphere processes information on the communicative intent of the speaker. It is the work of the right hemisphere that connects the semantics of a language expression with the extra-linguistic reality and with experience of the language subject. The right hemisphere ignores logical and conceptual structure of statements focusing on the deep image structure of its content. What does semiotic hemispheric specialization mean? 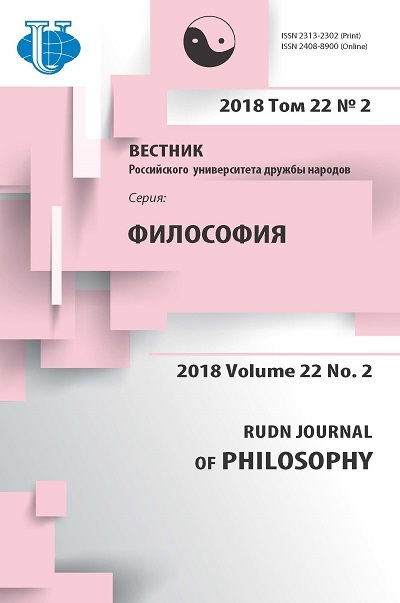 An important principle at the ontology level of language processes is, the establishment of thinking is actualized in the course of implementing experience at the level of language computations. During the generation of a statement, the transition from the concrete to the abstract method of expression is performed. The semantic nucleus of a statement is generated in the right hemisphere and takes the form of an abstract grammatical code for communicative translation in the left hemisphere. In our view, the problem of undifferentiated image information processing and the problem of unclear semantics are the keys to understanding the semantic nature of consciousness. 3. Computational bases of semiotic asymmetry 3.1. A garden of forking paths: searching for structure correlations We share the view of V. L. Deglin on the problem of closer cooperation of the iconic right-hemisphere reception as empirical reality, and the imaginary fictional worlds with left-hemispheric communication and epistemological functions. We can say that the right hemisphere “supplies” semiotic material to create statements, texts, narrative space . At the same time, despite the popularity of dichotomous descriptions of brain asymmetry principles, modern works recognize the principles of distributed processing of all types of information. In other words, both hemispheres work to append each other. The above means that a significant part of the work of consciousness is reduced to the construction of symbolic models of reality. In the analytical philosophical tradition, the question stands: is it possible to understand the work principles of consciousness through the analysis of a language as a universal sign system? The semiotic asymmetry principles are supported by the ideas of Y.M. Lotman about the types of texts and communication. The author distinguishes two types of communicative situations: 1. Situations where the objective is to transfer constant information; in this case, the syntax structure of a language is the guarantor of the stability of the information channel protecting the text (or a language expression) against interpretive distortions. 2. Situations where the purpose of the communication is the generation of new information; in this case, the language system is configured to shift the standard values to “provoke” the recipient to vary the interpretation of the message . Y.M. Lotman also indicates the structural and functional similarity of the three types of intellectual objects: the individual consciousness, the text as a dialogic generator of new meanings and human culture as a collective intelligence. Our approach finds the idea of semantic (text) the nature of consciousness most valuable. For Y.M. Lotman, the hemispheric asymmetry has the same semantic synthesis nature of the discrete and non-discrete as culture polyglottism. That is, texts produced by intellectual instruments (brain, culture) “consist of two (or more) integrated structures modeling principally different external reality” . The integrative nature of cognitive processes and the modular structure of the gnostic sectors of the brain has been confirmed by modern neurophysiological research . Cerebrum functions due to simultaneous interaction of projection, associative, multimodal and motor areas. In clinical laboratory tests have confirmed that the impact on the left hemisphere of a patient artificially complicates the system relationship of the world of things, despite the fact that the impact on the right hemisphere simplifies social relationships and emotional context of communication. Modern neurocognitive research provides for an interesting hypothesis of the language being a result of brain relational network (this idea traces back to F. de Saussure and L. Hjelmslev). This hypothesis is supported by factual material of two types: linguistic and neurophysiological. Network relational models graphically present ways to overcome the semantic ambiguity of a natural language. For example, S. Lamb refers to the network structure of multiple interpretations, which are implemented by connotative relations, context and conceptual prototypicality. For example, the phrase “Put it on my bill” contextually is quite appropriate in a bar, but if it is pronounced in the same bar by a duck character, an alternative arising due to polysemy (“Put it in my beak”) creates a pun and a comic effect . In cognitive linguistics and computer semantics, the tradition of “breeching sentences” analysis (garden-path sentences) deals with the properties of the conceptual relationships of elements. S. Pinker, referring to J. Fodor, provides a number of examples, the meaning of which a automatically deduces by one single route of a “tree”. While the computer, apart from the only correct interpretation, builds four more absurd but absolutely correct grammatical ones. For example: Time flies like an arrow. 1. “Time moves in a way an arrow would”. (The result of spontaneous recognition by a person.) 2. “Measure the speed of flies like you would measure that of an arrow”. 3. “Measure the speed of flies like an arrow would”. 4. “Measure the speed of flies that are like arrows”. 5. “Flies of a particular kind, time-flies, are fond of an arrow” [26. P. 199-200]. Neurophysiological measurements show that the analysis of a similar phrase does not delay interpretation and understanding. That is, the test does not allow even one alternative reading, as it might be in a sentence like this: “James while John had had had had had had had had had had had a better effect on the teacher”. Without intonation or punctuation marks, this phrase is incomprehensible. With the punctuation, the syntax is automatically organized by identifying verbal groups and objects: James, while John had had “had”, had had “had had”; “Had had” had had a better effect on the teacher. (Where John used “had”, James used the «had had»; the teacher preferred «had had».) Today there are even psycholinguistic schools exploring brainwork during sentence analysis. It turns out that sentences with confusable syntax are automatically restored with the natural analyzer (brain) under the contextual conditions. However, the correct understanding is only possible with the parallel parsing (linear comparison of syntactic and morphological structures), that is, with the possibility of unclear conclusion [12. P. 239-250]. For the proponents of the relational network hypothesis the above examples mean that if there is a “route” for interpretations, there is a system in the brain for conceptual and semantic relationships between the elements of a language system. The neurophysiological evidence of the existence of a language network structure includes the experimental evidence of network components in the columns of the brain cerebrum. S. Lamb identifies the following characteristics in the two types of connections (excitatory and inhibitory): ♦ connections may have variable force; ♦ connections have varying degrees of activation; ♦ connections are enhanced with their successful use (learning process); ♦ nodes have a different threshold value; ♦ thresholds may change over time (as part of the learning process) [22. P. 193]. In other words, the network hypothesis is aimed at finding similar structures in language systems and the material brain substrate. The similarities of hierarchical network structures of neuroanatomical nodes responsible for pattern recognition and speech perception with recursive breeching grammar structures are of utmost importance. A distinctive feature of a neural network is that the higher layers integrate the properties of the lower layers: it is the foundation of syntactic and morphological analysis. Then one can make a bold assumption that conceptual semantics of a natural language also has structural components embodied not only in the abstract categorical forms but also in a specifically organized brain matter. To confirm the neural network concepts, quantitative neuro-anatomical data are provided . 3.2. Mirror neurons and primacy problem According to A.E. Kibrik, understanding mind processes based on activity motivation of a language structure is a most promising approach, since the reverse movement (“from thought to language”) is complicated by the lack of objective access to the mental structure . However, assuming the hypothesis of uniformity of the brain, thinking and language structure, the neurophysiology is also able to achieve results that are relevant to language studies. The latest works on the correlation of language and brain functions have paid special attention to the phenomenon of mirror neurons and the role of mimetic mechanisms in the formation of language structures. In the context of the problems, the generativists and connectivists, holistics and locationists, gradualists and saltacionists confront each other yet again. The majority of representatives of the polemic parties recognizes a fact of fundamental importance: the meaning (semantics) is functional nucleus of both an abstract language structure and material so brain processes. Specific attention should be given to the connection of the mirror neurons work with the conceptual and semantic aspect of language activity. J. Rizzolatti and M. Arbib, after the discovery of the phenomenon of mirror neurons by Italian researchers, have developed a large-scale research program explaining the relationship of imitative activity of the brain and the development of a semiotic language system [1; 2. P. 188-194]. They proved mirror neurons existed in the Broca's area and directly participated in the formation of speech skills. Another important finding was the experimental proof of dialogical language consciousness. For the semantic content of a language statement, a skill is required to imitate a number of mental states (hopes, desires, intentions, imagination, emotion, etc.). The ability to reproduce non-verbal components of verbal behavior leads to the socialization of an individual and to the formation of a conceptual picture of the world. The connection of language disorders with the blockade of mirror functions of neurons was proven in the studies of the language picture of the world and verbal behavior of people with autism . It should be emphasized that the formation of logical-linguistic categories, such as subject (Agent), object (Patient), predicate, instrumentative, etc. occurs based on the material of very specific areas of the brain substrate. Recognition and categorization of visual objects is due to the brain’s simulation of sensor-motor operations. In other words, some primitive concepts of “semantic atoms” or proto-signs have neurophysiological causality. Moreover, the connection between sensorimotor functions of the vocal apparatus and gestures has been proven experimentally, which confirms the relevance of gestural theory of the language origin [28. P. 140-149]. The key point is that research findings prove that neuron structure cause the principles of mental representations and computational models of grammar. Therefore, based on processing primary (proto-semiotic) information, the cognitive-semantic approach allows talking about the legitimacy of both directions: from language to forms of thought and from thought to language. In our opinion, such parallelism does not help avoid the question of computability of the semantics of mental representations. Further, we will detail the ontological aspects of semantic computability. If the basis for the conceptual content of statements is formed in neuron links, despite the complexity, semantics should have structural or functional properties of matter: figuratively, both in the brain and in the language. Here the problem of primacy arises again: did the syntax form the principles of the organization of semantic material or vice versa, did the proto-mind as a property of the cognitive nature form the syntactic repertoire of the language plan of expression? The problem of recursive language structure and the methods of information processing by the brain also lies within this question. 4. Recursive functions and substantial reduction In the recent decades, the problem of recursion has become one of the central topics of discussion about the structural universals of the language, brain, thinking and even civilization . We may assume that such ideas came after the application of recursive algorithms for programming and detection of such procedures in the bihemispheric neuron relationships and language grammar. What is recursion? In general, recursion can be defined as a structural self-similarity or nesting of ideas. In the theory of knowledge, in mathematics, programming, music, geometry, the idea of recursion is to overcome the ontological or metric linearity. In his widely known work, D. Hofstadter, through the recursive metaphor in music, art and mathematics, explains the nature of consciousness in terms of artificial intelligence . Recursion can be represented textually (“I think, therefore I exist.”), graphically (from the ancient pictures of animals eating themselves up to its present form of fractal shapes), logically (the liar paradox), mathematically (Fibonacci numbers or the formula 0 = 1 n! = n * (n - 1)! [where n > 0]). The essence of recursion is reduced to an abstract procedure calling itself or to a component containing a component of the same class. The problem of self-similar formal structures in linguistic studies has been known since the works of Panini, W. von Humboldt and the early works of N. Chomsky, in which the latter had taken grammar to hierarchical recursive structures. In recent years, the interest for the subject has grown with the publication of the works by M.D. Hauser, N. Chomsky, and W.T. Fitch , in which the authors have come to the following conclusions: a) Recursion is the basis of innate language abilities. (However, along with the sensory-motor system and the conceptual system, the recursion forms a “faculty of language in narrow sense” (FLN). b) Recursion is the only property of the language inherent only to the human mind. (In other words, all other language properties may be found in animal communication systems) c) Recursion is a unique feature of language abilities. d) Recursion is universal, it is present in all languages. e) Recursion is a unique feature of consciousness. These conclusions (particularly the contradiction between the first and second maxims) caused heated debate in the scientific world . For example, S. Pinker and R. Jackendorff oppose (b) and argue that human language has a number of specific features that distinguish it from other forms of communication. Actually, the problem of recursion yet again brings us to the problem of Rubicon in the theories of the origin of language [25; 3. P. 300-326]. Also, the authors argue that recursion caters to the “mathematical unit” of consciousness and the so-called “social intelligence”, which is contrary to (c) [16. P. 211-225]. The sensational results of D. Everett’s research of some languages in the Brazilian Amazon (language Piraha, Muran group) come into direct conflict with (d) [9. P. 621-646]. Finally, T. Gentner and his coauthors have proven that European starlings are able to distinguish successive and inconsistent characters as recursive and non-recursive grammar, which casts doubt on e). Actually, M.D. Hauser, N. Chomsky, and W.T. Fitch also recognize that the navigation ability of animals can be regarded as a recursive system . 4.1. Perspectives of the minimalistic program The criticism of HCF’s (Hauser, Chomsky, Fitch) article leads the researchers to clarification of the meaning of the term “recursion”. Recursive functions in linguistics, mathematics and computer science can be interpreted in different ways. Hulst, referring to Tomalin’s work dedicated to the recursion in Chomsky’s generative program, demonstrates, how the term has changed its meaning as the theory developed [14. P. 19]. As a result, the HCF’s text is based on the recursion interpretation as per Chomsky’s Minimalistic Program: in the Minimalistic Program, CHL operations recursively design a syntactic object so that any syntax object (language expression) may be defined in terms of a smaller syntax object. Recursive structures may be found at all levels of a language system, especially in syntax and morphology, phonology, lexical structure, and at the level of logical-semantic connections. Language expression (word, sentence) may be represented as a hierarchical structured object, to which we may apply the rules of inference and the rules changing the inference rules. This explains how the final grammar generates an infinite number of expressions. Recursive mechanisms are responsible for representing language in the form of an infinite number of correctly organized expressions [14. P. 22]. The recursive organization of expressions is implemented under two schemes: “nesting recursion” and “tail recursion” (left- and right-sided). Example of a “nested recursion”: (1) I met the man [who saw the girl [who left this morning] this afternoon] two minutes ago. When translated into the Russian language the proposal takes the form of right-sided tail recursion: (2) [Two minutes ago, I met a man [who had seen that afternoon the girl [who had left this morning]]]. What are other peculiarities of the Minimalistic Program, and how can we relate the formal languages structures it describes to the material principles of brainwork? In 1993, N. Chomsky wrote another “final” version of the generative grammar theory “Minimalistic Program of Linguistic Theory” with the new updates, changes and clarifications. The American linguist gives increasing importance to the lexical database of a particular language. The core theory remains the same: a person has the innate language ability. Perhaps due to the rapid development of computer technology and the popularity of scientific metaphors “brain - computer”, Chomsky offers a minimalistic model based on computation and interface system. In the Minimalistic Program, a language apparatus is represented by two major subsystems: the computer system and the lexicon. The computing subsystem generates language expression and sends commands to implementation systems. In terms of minimalism, the role of the lexicon is broader than in previous versions of generative grammar. The explanatory power of the minimalist model has shifted mainly to the lexicon, which contains not only the words, their phonological structure, thematic relationships between words (valence), but all formal and signs affecting syntactical processes and different in nature in different languages [15. P. 24]. Chomsky distinguishes two implementation systems: articulatory-perceptual and conceptual-intentional, corresponding to the two interfaces: phonetic and logical forms. A computing module also enables control grammar and relevance (contextual relevance) of statements. We see that in his later version, Chomsky does not separate types of interpretations into individual modules but attributes all types of relationships to the thesaurus and voice implementation. In this version, there is an indirect metaphor that represents language activity as a result of the computation by the biological computer - a brain improved in the course of evolution. The language ontology has been reduced to a set of interfaces and recursive structures. 5. Conclusions on methodological contradictions Given the above, the material presented allows determining the intersection points for the functional asymmetry of the brain hemispheres, cognitive process structures and language structures. It should be noted that the dualistic interpretation of recursion (both as a structure and as a process) allows the introduction of construction principles for “discrete infinity”. Recursion enables creating endless sense chains out of a finite set of values. From the ontological point of view, recursive mechanisms (in Chomsky interpretation) are language universals delineating the language and non-language, the thinking and non-thinking. In this case, the uniqueness of the human mental sphere may be reduced to the recursion and the ability for deliberate syntactic organization. It is important to emphasize that the language model as a set of hierarchically represented objects is consistent with only with the connectivism paradigm (brain as a network), in which the main element is the functional neuron, and it is not the biological neuron but its simplified information model. The informational simplification creates a number of contradictions. The specifics of recursive neuron network primarily consists in the fact that only a part of receptors receives signals from the outside world, other receptors receive the output image from a previous moment of time. This effect is achieved by the fact that the processing result follows not only to the outer layer, but also in the delay unit from which it is re-directed to a part of the receiving neuron layer. Actually, this principle ensures self-learning of a recursive neural network and its ability to change elements combination rules of “on the fly”. For a simplified picture of recursion in grammatical processing, the selection of items will look as follows (according to S. Pinker): There is a “bank of neurons” responsible for inflected characteristics (aspect, tense, number, person), which through the valves of logical operators (!) are associated with the neuron stimulating the response of calling the necessary phoneme . Therefore, the system language combinatorics is implemented in the specifically (evolutionary) prepared materials of the brain. It is important to distinguish between abstract logical-algorithmic neural-network model of grammar functioning and the real material relation in a brain. The main contradiction is that in grammatical diagrams, the input signal is always unambiguous. While in biological neurons, the information transfer from the axon to dendrite extends as a complex chord of excitatory and inhibitory signals from postsynaptic membranes and extrasynaptic receptors, i.e. one neuron may have numerous incoming channels. The stability of the epistemological “brain-computer” metaphor is largely due to the discrete work of neurons, although it is worth noting that this is not the binary discreteness of digital devices, but threefold (excitement, lack of excitement, braking). We emphasize that, despite the quantity (each of 1011 neurons has 104 synapses) and qualitative (dozens of types of chemical signals, continual change in the amount of the neurotransmitter emitted, etc.) differences, processing of large amounts of information is ensured by computation. In this case, language as cognitive function, too, is subject to the computational processes of the brain. We believe that the human neurocognitive system does not contain the elements of a language system but contains organization principles of language elements. The “assembly” of a word or a sentence is completed “on the way out”. The uniformity of syntax and logical structure of neurons creates metaphorical and not completely correct hypothesis that the brain is a network of functional nodes computing grammar. S. Pinker rightly points out the methodological gap when trying to find a neurophysiological basis of a language. Today, the neurolinguistic theories investigate either the hemispheric asymmetry, or simplified neural-network models. An obvious methodological contradiction arises herewith: where S.M. Lamb (as quoted earlier) indicates the network uniformity of linguistic and neuron structures , S. Pinker reducing the material neuron substrate to a genetic level is forced to admit the absence of specific DNA sequence responsible for the formation of grammatical skills. The only thing left for the biological rationale of the “grammar gene theory” is the analysis of speech hereditary pathologies. However, that leaves the ontological question of the material language substrate (as an abstract system or as a communicative activity) open. Such wordings as “biological evolution of universal grammar” are incorrect from the ontological viewpoint, since it was not grammar that has evolved but the brain and social forms of communication. The language “Arche”, at least within the materialistic or structural and functional types of reductionism, seems unattainable. Arbib, Michael A. 2010. Action to language via the mirror neuron system. Cambridge: Cambridge University Press. Arbib, Michael A., and G. Rizzolatti. 1998. Language within our grasp. Trends in Neuroscience 21: 188-194. Barulin, Anatoliy N. 2013. How it happened with you, Adam? Discussion about origin of language. Antropologicheskij forum 19: 300-326. Chafe, Wallace. 2008. The role of introspection, observation and experimentation in the interpretation of thought. In Computers, brain, cognition: success of the cognitive sciences, ed. BM. Velichkovskij and V Soloviyov, 163-178. Moscow: Nauka. Chernigovskaya, Tatiana V. 2004. Brain and language: a century and a half of investigation. In Teoreticheskie problemy jazykoznanija: Sb. st. k 140-letiju kaf. obshhego jazykoznanija SPbGU, ed. L.A. Verbickaja, 16-28. Saint Petersburg: Filol. fak-t SPbGU. Corballis, Michael C. 2011. The recursive mind. The origins of human language, thought, and civilization / Michael C. Corballis. Princeton, N.J., Woodstock: Princeton University Press. Deglin, Vadim L. 1996. Lectures about functional asymmetry of human brain. Amsterdam-Kiev. Dijk, Teun Adrianus van. 1981. Studies in the pragmatics of discourse. The Hague, New York: Mouton. Everett, Daniel. 2005. Cultural constraints on grammar and cognition in Piraha. Current Anthropology 46 (4): 621-646. Gentner, Timothy Q., Kimberly M. Fenn, Daniel Margoliash, and Howard C. Nusbaum. 2006. Recursive syntactic pattern learning by songbirds. Nature 440 (7088): 1204-1207. Hauser, Marc D., Noam Chomsky, and W. Tecumseh Fitch. 2002. The faculty of language: what is it, who has it, and how did it evolve? Science (New York, N.Y.) 298 (5598): 1569-1579. doi: 10.1126/science.298.5598.1569. Hickok, Gregory. 1993. Parallel Parsing: Evidence from Reactivation in Garden-Path Sentences. Journal of Psycholinguistic Research Journal of Psycholinguistic Research 22 (2): 239-250. Hofstadter, Douglas R. 1979. Gödel, Escher, Bach. An eternal golden braid. New York: Basic Books. Hulst, Harry van der. 2010. Re Recursion. In Recursion and human language, ed. Hulst, Harry van der, 15-53. Studies in generative grammar, vol. 104. Berlin, New York: De Gruyter Mouton. Isakadze, Natalia V. 1998. Reflection of morphology and nominal group referential semantics in the formal syntax. (Thesis) Diss.. kand. nauk. MGU im. Lomonosova, Moscow. Jackendoff, Ray, and Steven Pinker. 2005. The nature of the language faculty and its implications for evolution of language (Reply to Fitch, Hauser, and Chomsky). Cognition 97 (2): 211-225. doi: 10.1016/j.cognition.2005.04.006. Jackson, John H. 1874. On the nature of the duality of the brain. Medical Press and Circular (1). Jacobson, Roman. 1985. The linguistic types of aphasia. In Selected works, ed. Zvegincev V.A., 287-301. Moscow: Progress. Kibrik, Аlexander E. 2008. Cognitive approach to language. In Computers, brain, cognition: success of the cognitive sciences, ed. B.M. Velichkovskij and V. Soloviyov, 202-230. Moscow: Nauka. Krotkova, Olga A., and Boris M. Velichkovskij. 2008. Interhemispheric differences of thought under the lesion the higher gnostic areas of the brain. In Computers, brain, cognition: success of the cognitive sciences, ed. B. M. Velichkovskij and V. Soloviyov, 107-132. Moscow: Nauka. Lamb, Sydney M. 1999. Pathways of the brain. The neurocognitive basis of language. Amsterdam studies in the theory and history of linguistic science. Series IV, Current issues in linguistic theory, v. 170. Amsterdam, Philadelphia: J. Benjamins. Lamb, Sydney M. 2008. What data types are used in neurocognitive linguistics. In Computers, brain, cognition: success of the cognitive sciences, ed. B. M. Velichkovskij and V. Soloviyov, 180-201. Moscow: Nauka. Lotman, Yuri M. 1993. Brain-text-culture-artificial intelligence. In Selected works in 3 vol., vol. 1, 25-33. Tallinn: Alexandra. Luria Alexander R., and James V. Wertsch. 1981. Language and cognition. Washington, D.C., New York: V.H. Winston; J. Wiley. Panov, Evgueniy N. 2012. Paradox of continuity. Language Rubicon: on impassable gulf between the animal signal systems and the human language. Moscow: Jazyki slavjanskih kul'tur. Pinker, Steven. 2004. The language instinct. Moscow: Editorial URSS. Ramachandran, Vilayanur S. 2006. Broken mirrors a theory of autism. Scientific American 295 (5): 62-69. Rizzolatti, Giacomo, Corrado Sinigaglia, and Frances Anderson. 2008. Mirrors in the brain. How our minds share actions, emotions, and experience. Oxford: Oxford University Press. Schiffman, Harvey Richard. 2000. Sensation and perception. An integrated approach, 5th edn. New York: Wiley. Copyright (c) 2018 Baryshnikov P.N.